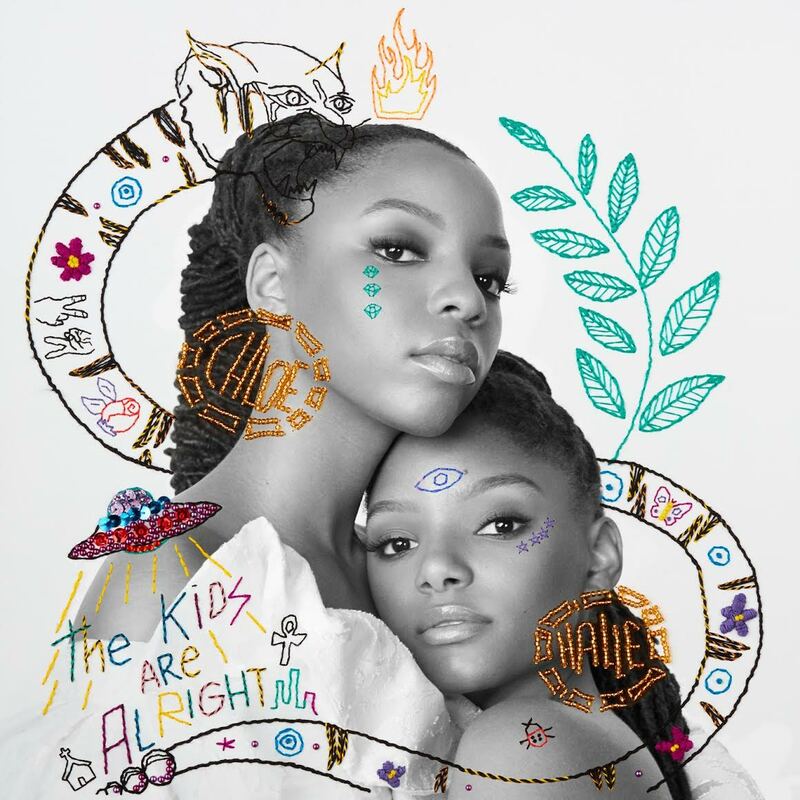 Today, sister duo Chloe x Halle has released their highly anticipated debut full-length album The Kids Are Alright from Parkwood Entertainment and Columbia Records. Written and executively produced by Chloe Bailey, 19 and Halle Bailey, 17, the album is now available everywhere. For almost three years now, fans of the duo have been privy to their constant growth, keening harmonies and genuine musical moments, including stylish videos for original songs “Drop” and “Fall.” They have watched an evolution in beautiful progress as Chloe x Halle gave glimpses of the magic that was to come through their creative covers and gorgeously understated videos. Whether through YouTube, Instagram, concert stages, magazine fashion spreads or television appearances, Chloe x Halle left unforgettable impressions and built authentic anticipation for their debut full-length release. In the spring of 2017, Chloe x Halle released their self-described, "This is not an album" and "not really a mixtape" critically acclaimed project, The Two of Us, which featured brand new music mostly written and produced by the duo. They were also named People Magazine's Ones to Watch. Last December, Chloe x Halle released the theme song for “GROWN-ISH,” the “BLACK-ISH” spin-off that has been met with overwhelming praise for its honest portrayals of teen lives in college. They were added to the cast as series regulars, after initially signing on for recurring roles. “Grown” and its accompanying music video, which featured the sisters using a variety of Snapchat Lenses, also received praise from fans and critics alike. They then followed-up quickly with the title track “The Kids Are Alright,” featured prominently in the series debut episode. The Kids Are Alright features new gems, “Fake,” “Hi Lo,” “Galaxy,” “Happy Without Me,” “Grown,” “The Kids Are Alright” and “Warrior,” which is also featured in the fantastical Disney movie, A Wrinkle In Time. The album is available in-stores and online here. Chloe x Halle made their late night television debut last night on Jimmy Kimmel Live with their performance of “Happy Without Me.” The girls will also be performing on The Today Show on Monday, March 26th. The R&B sister act have also released a 10-minute short film to accompany their debut album. The film can be viewed here. Highlighting six songs, the clip stars Bailey siblings Chloe and their friend Ashton Sanders, who rose to fame following his appearance in the 2017 Academy Award-winning drama Moonlight; Cara Stricker directed and Beyoncé collaborator Kwasi Fordjour wrote and creative directed the hypnotic project.